The Roland TR-909 was the follow-up to the ground-breaking TR-808. Like the 808, the 909 was a fully programmable drum machine that could store whole songs in multiple sections. 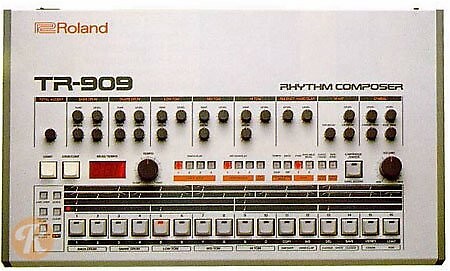 The 909 was widely used in the development of many new electronic music styles including Techno and House.